THE mining town of Solwezi will be full of coloured festivities as the Solwezi Colorfest debuts at Tanji Waterfalls this Saturday. 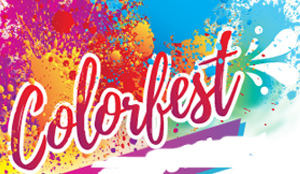 It is anticipated that the colour festival will enthral attendees from 10:00 hours in the morning to 22:00 hours in the night. The festival is expected to draw hordes of revellers in the surrounding vicinities of the provincial capital of North-Western Province. This a once-in-a-lifetime occasion which has been organised by Solwezi’s premier events company, Hype Nation. Ever Moving Forward Media is set to feature performances by Salt Muli Soupu brand pioneer Drimz, Jae Cash, Melo 3,000 and Nath K as headlining acts. DJs expected burn the decks into the evening will include DJ Joe Brown, DJ Forbes and DJ Mubz. The festival will host children from Gilga Orphanage Centre and people would be urged to donate for a just cause. There will be various activities and games for the whole family. Organises hope the festival will be Solwezi’s biggest event.